Happy Monday! I am so excited to have a week off from school. I really feel like I have been going through crafting withdrawals. 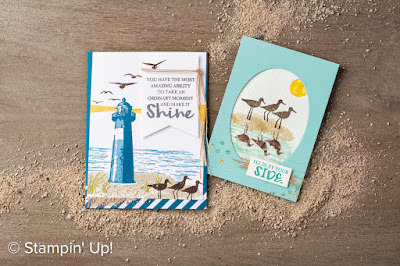 This week I am showcasing cards using the High Tide stamp set from the 2017 Occasions Catalog. Today's card is inspired by a card featured in the catalog. I loved the card on right, except I wanted to bring more attention to the focal image. From the sample featured, the focal image is on the inside of the card. I kept most of the elements of the card. 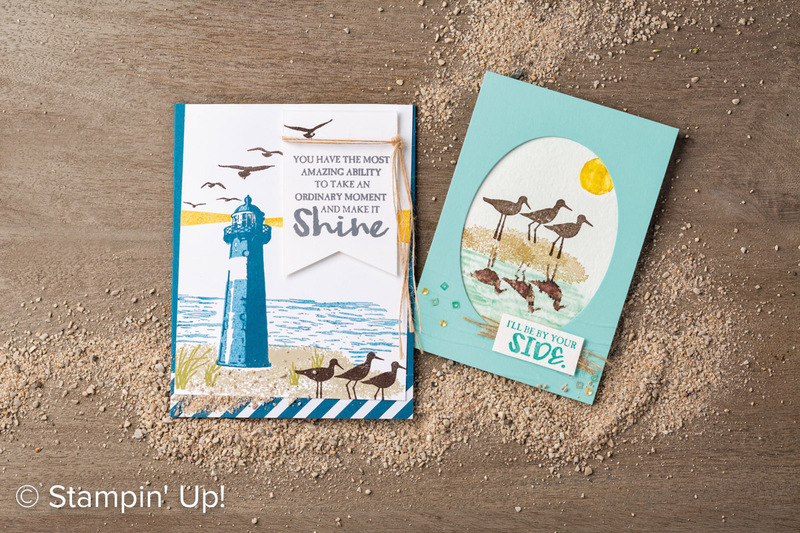 You can even step this card up by embossing the Pool Party cardstock. Using my blender pen, I blended out some of the pool party ink to fill in the water. Just like the sample, I added some Linen Thread behind the sentiment. For the final touch, I added some of the Sprinkle Embellishments. Stop by on Wednesday to see the next card in the series!